The system, installed last December at the LIONS laboratory, will enable users coming from a broad scientific community to run advanced research in a lot of scientific fields such as soft matter, magnetism, chemistry, biology, metallurgy and materials. The LLB was already providing access to its neutron scattering spectrometers based on the SANS technique (SANS, Small Angle Neutron Scattering). With the acquisition of the Xeuss 2.0 SAXS/WAXS instrument, users will have extended capabilities to investigate their samples using SAXS for structural studies, and Grazing Incidence SAXS (GISAXS) for surface analysis. 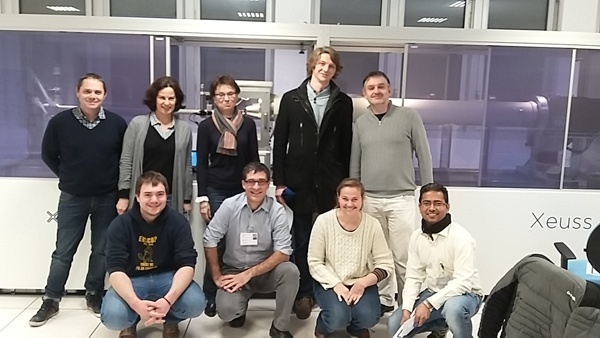 Installation & training on the Xeuss 2.0 SAXS/WAXS instrument at LLB, CEA Saclay, France. The LLB is a service-providing laboratory that also develops its own scientific research. One of its roles is the design, construction, and operation of neutron spectrometers installed around the Orphée reactor in Saclay. These are mainly used for the study of condensed matter. The scientific activities of the laboratory can be classified in three fields of equal importance: physical-chemistry, structural and phase transition studies, magnetism and superconductivity.